Neat plaques the entire team is sure to approve of! 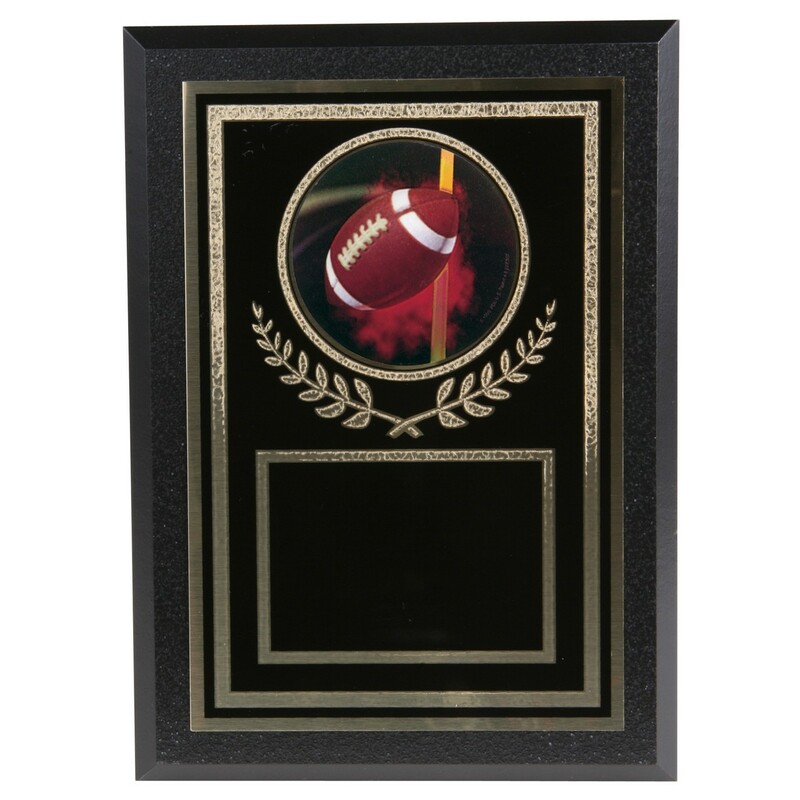 These Authentic Football Team Award Plaques have a black brass engraving plate featuring a realistic football image mounted on a 5x7 black simulated wood plaque. Customize this award for FREE and make any coach, sponsor, or player proud to have these plaques grace their wall! Fun meets elegance with these colorful accented metal plaques!